2013 is off to a great start for Megan Fitzpatrick and Popular Woodworking Magazine as she takes the helm as the new Editor. Many of us have interacted with Megan over the years—through email, blogs, WIA, facebook—but here are some things about her that you might not know. 1. Are you from the Cincinnati area? Yes and no. I was born in Cincinnati, but my family moved to Louisville, Ky., when I was two weeks old – so I consider myself as being from Louisville. I moved here in 1986 to attend the University of Cincinnati (and to be close to my grandparents, who had moved here from Louisville in the 1940s), and I never left. 2. How did you end up working for PopWood? I was working for our parent company, F+W Media (F+W Publications, at the time) in the Creative Services department (the arm of the marketing department that writes direct mail and other promotional stuff), and, after seven years, was about to leave to return to grad school. But Christopher Schwarz (who had just become the editor) and Steve Shanesy (the publisher at the time) asked if I'd be interested in the managing editor's job. I was, and we worked it out that I could do both. I spent my "lunch hour" (and then some) on campus, and made up the time at work. 3. Did you have any woodworking experience before then? Only a little DIY stuff around the house, mostly using mechanical fasteners. 4. 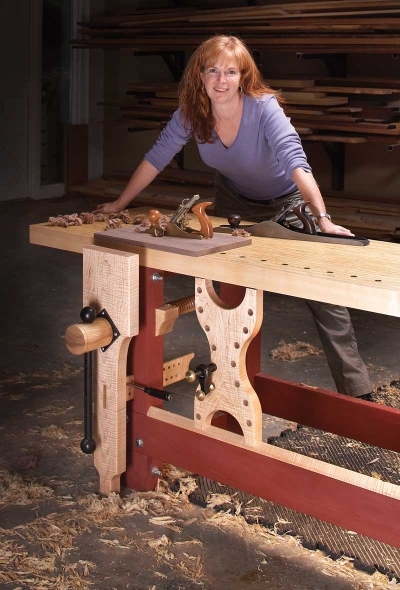 What sparked your interest in woodworking? My grandfather earned a trade certificate in cabinetmaking and was always making stuff, so that was probably my first introduction to the craft. Also I like nice furniture ... but can't afford to buy it. So, given that I had daily access to several excellent instructors, I decided to pester my co-coworkers to teach me (and I felt that, as a member of the staff, it would be useful if I knew the difference between a rabbet, groove and dado). 5. Do you migrate toward certain styles of furniture? I admire early modern pieces (16th and 17th-century), in part due to my literary interests in the same period – but I haven't built much in that style because it would look out of place in my 19th-century house. Plus, unlike you, I haven't yet become a proficient carver (one of my goals for 2013 is to get started in that). I tend to build Shaker-inspired pieces and other period pieces that aren't very adorned. 6. What types of projects are your favorite? Inexplicably, I like really large pieces – massive bookcases, stepbacks, dining tables...the kind of thing folks are sometimes surprised to learn were built by a relatively small woman. 7. What are some things on your “must build before I die” list? An English Arts & Crafts inlaid sideboard, a joined chest with carved panels (a la Peter Follansbee)...and a larger circulation for the magazine! 8. Do you have a preference between hand and power tools? 9. What is your biggest challenge as a woodworker? Like many woodworkers, the biggest challenge is finding enough hours in the week to get into the shop. After that, it's my champagne taste in tools but with a Boone's Farm budget. 10. Many folks know that you love Shakespeare. Are there ways in which you tie woodworking and Shakespeare (or the time period) together? I wish to correct that statement a wee bit. I like and admire Shakespeare; I love Francis Beaumont, Ben Jonson and Thomas Middleton (but "Shakespeare" serves as convenient shorthand for the plays of the period, because few have heard of Beaumont!). But to answer your question, yes – I always look for references to "rude mechanics," furniture, tools and the guild system (in any craft) in every play I read, and someday – I swear it – I'll finish that joint stool I started in Follansbee's class (see "Taming of the Shrew" 2.1.192). 11. What are some woodworking techniques you haven’t tried but plan to? As I mentioned, I hope to start carving this year (I'm impressed by your work! ), and will look first to Follansbee's videos because that's the type of carving in which I'm most interested. And gosh...there are a lot of techniques I'd like to try. The first two that pop in my head are steambending, so I can make a Windsor chair, and bent lamination, for no reason other than it looks cool. Well, I've been on vacation almost since the day I was promoted (nice, eh?! ), so I haven't had too much time to talk with Kevin Ireland, our publisher, and the rest of the staff (heck – I'm not even sure everyone on the PWM team even knows yet!). And I want it to be a group effort, because everyone brings a different set of skills and experience to the table, and everyone has a valid point of view to offer. So I'm afraid I'm dodging this question a bit until the staff has time to convene. But I will say that what's of great importance to me is offering articles and techniques that you won't find elsewhere, and content that's so well written/engaging/interesting/provocative that you'll want to read it even if the subject isn't something you'd typically enjoy (I realize that's an improbable goal to always realize; we won't deliver on every single article...but we can darn well try!). And as far as online content, well, we need to get back to blogging a lot more often; we need to give readers a good reason to visit our site every day (and hopefully some changes to the site itself will also help achieve that – more on that to come soon). 13. Are we likely to see more hand tools or power tools in future issues? 14. What types of projects might we expect under the Fitzpatrick regime? I hope we'll be be offering projects that not only will appeal as a form, but that have something new/interesting/surprising to teach. 15. What will be your biggest challenge as Editor? At the moment, finding and training a new managing editor. After that? Ask me again in a couple months (by which time I fervently pray that first challenge will be resolved). 16. Any hints you'd like to drop about WIA 2013? 17. 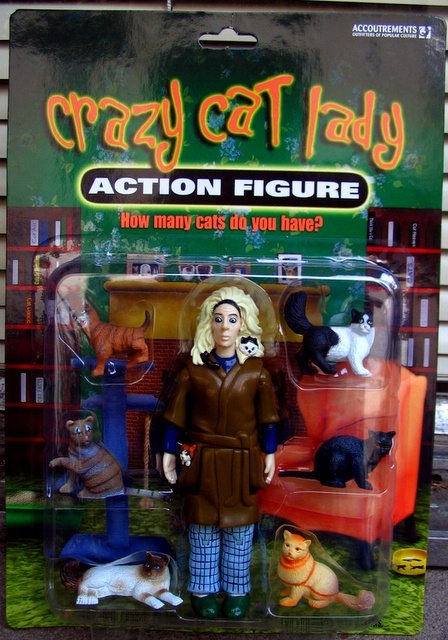 Exactly how many cats do you have? Thank you, Megan, for accepting my request for an interview!